the Capps and Coleman rigs or any rig. Much sharper than most other hooks. precise engineering and on-the-water testing. more easily than the Sickle Hook's Strength Bend. a finer wire, yet still remain as strong or stronger than common hooks. This allows faster penetration when setting the hook. technically advanced tackle of the finest quality. hi-carbon wire, heat treating, plating, design, and chemically sharpened needle points. 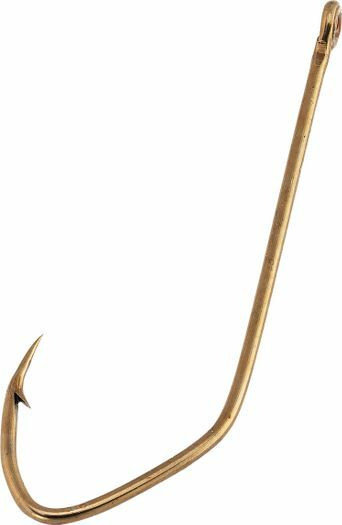 These are among the strongest and sharpest hooks you will find anywhere. Sickle shape provides a stronger hook with less chance of losing your fish once hooked.